This statistic shows the value of microloans to unemployed persons provided by microfinance institutions in selected European countries as of 2013. 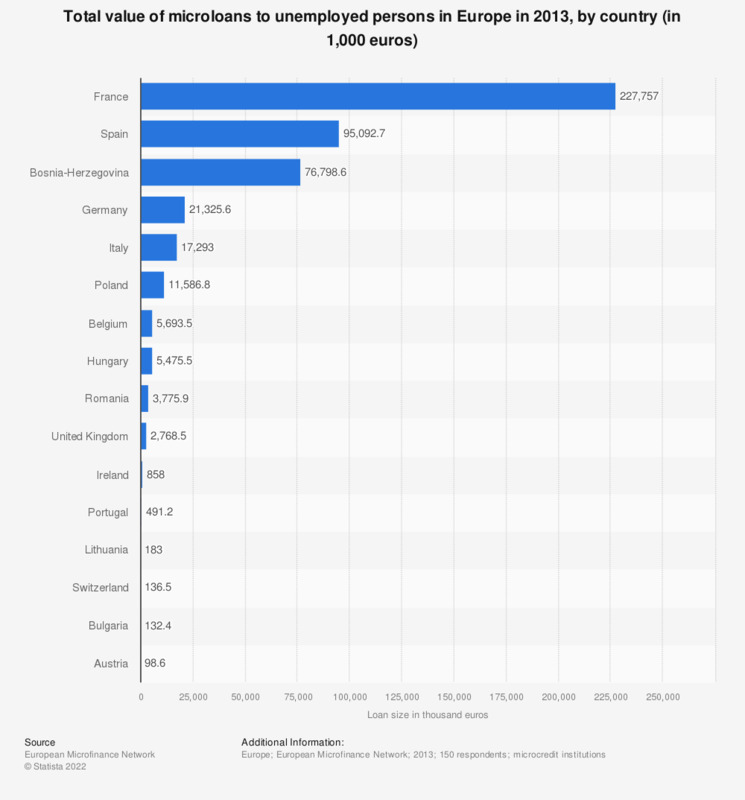 At this time, the country with the highest share of loans disbursed to unemployed people was France, with approximately 227.8 million euros worth of microcredits supplied in 2013. Specific information regarding the response rates in different waves of the survey are provided in the Overview of the Microcredit Sector on page 17. Statistics on "Microloans in Europe "